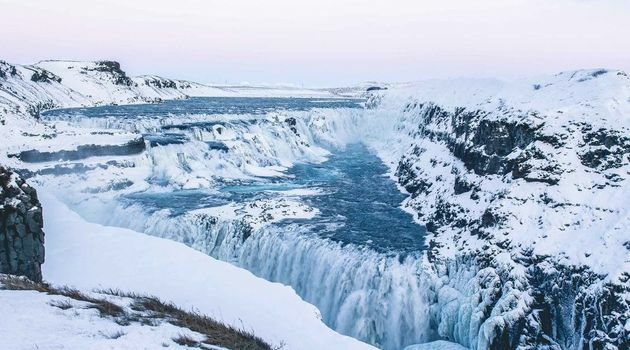 Join us for an unforgettable expedition with a small group on the ultimate Golden Circle tour. 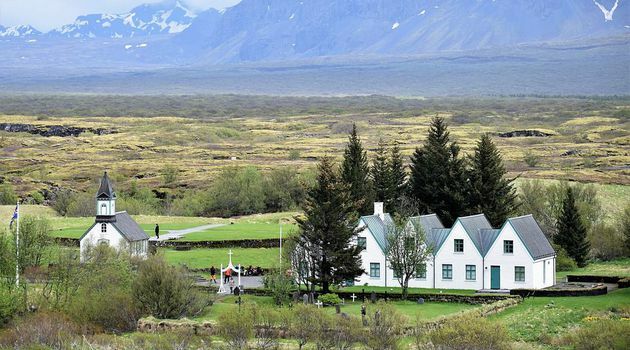 We visit the famous Thingvellir National Park, Gullfoss waterfall, Geysir and the surrounding geothermal area. 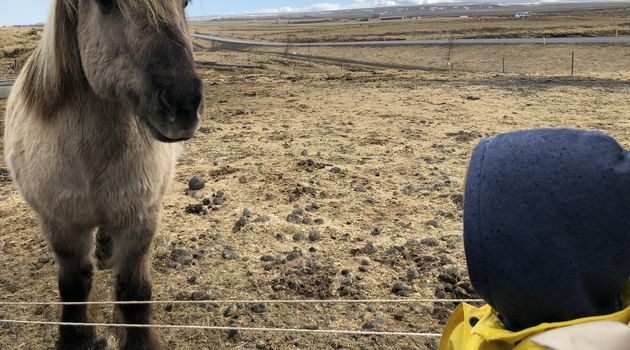 Our best-seller tour includes a visit to Kerið volcanic crater, Faxi waterfall, and a stop at a traditional Icelandic farm to see and pet some horses. Þingvellir National Park We visit the place where the two tectonic plates, the North American and the Eurasian plate, are moving away from each other. Few places in the world offer a better and clearer view of this massive geographic activity. 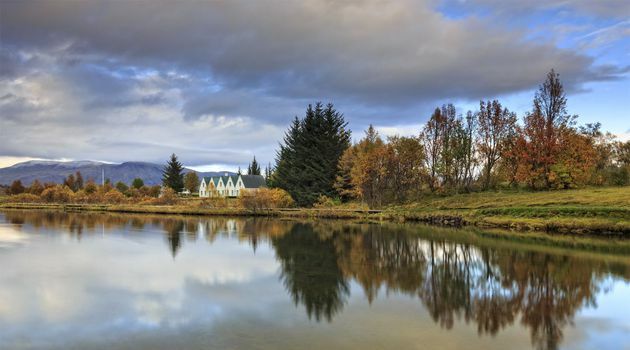 The biggest natural lake in Iceland is also located at Þingvellir National Park and hosts a great variety of fish and bird life. Þingvellir is also an important place for Icelandic national history. At Þingvellir Icelanders founded their parliament in 930 a.d. where the chieftains had their annual meeting every summer. 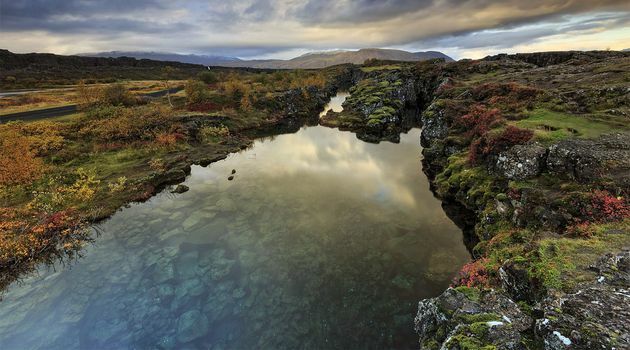 The name “Thingvellir” translates to “Parliament Plains”. 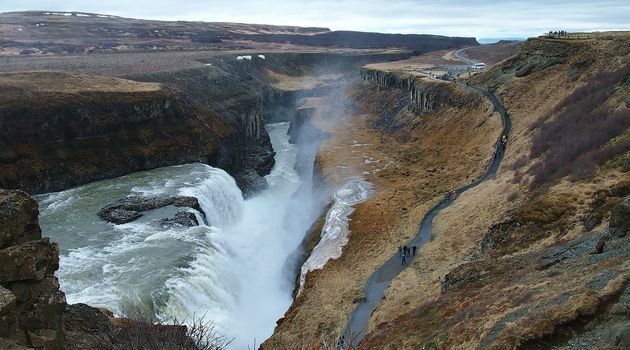 Gullfoss The melting water from Iceland´s second biggest glacier, Langjökull, falls into a deep canyon forming the majestic “Golden Falls”. 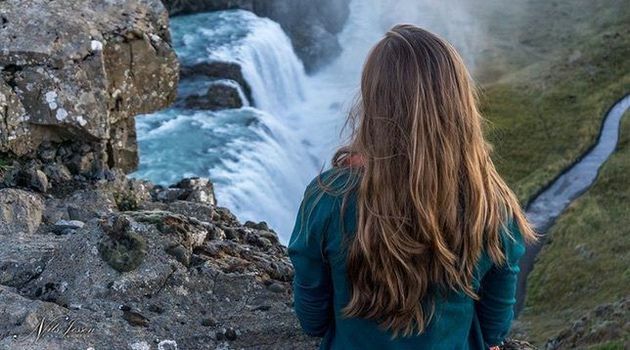 On a sunny day, you can see the glacier Langjökull in the distance and enjoy a rainbow in the mist of the waterfall, an Instagram blockbuster waiting to happen! Geysir The Geysir geothermal area hosts hundreds of colorful hot springs and two geysers, erupting hot springs. 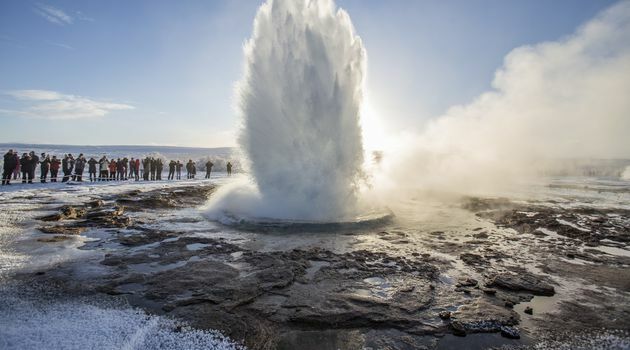 One is called “Geysir” and name giving for all the geysers in the world. 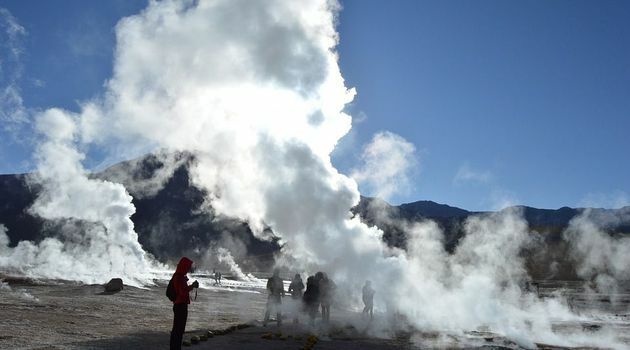 Today, however, it erupts very seldom. The other geyser is called “Strokkur” and erupts every 5 minutes up to 40 meters. Icelandic Traditional Dairy Farm - Efstidalur We visit Efstidalur farm owned by the same family since 1850. 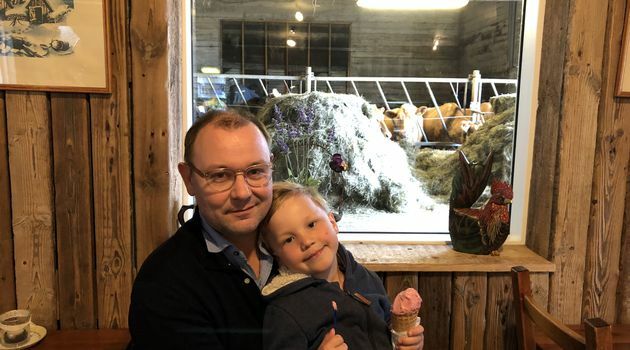 This Icelandic family-run business sticks to traditional Icelandic farming culture and focuses on horse and cattle breeding. 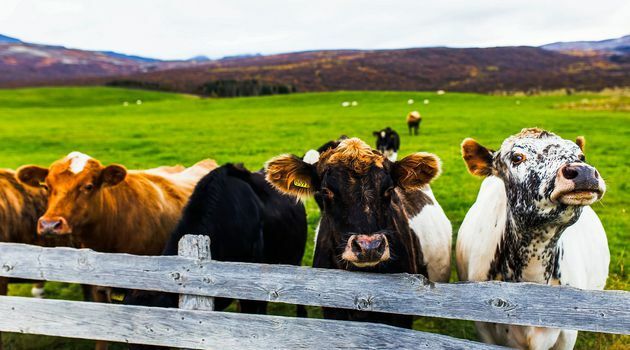 You will be able to enjoy their tasty farm-to-table dairy products, see the stunning mountain view and pet the friendly animals. Troll Expeditions will invite you to taste the ice cream yourself and meanwhile watch the animals relaxing in the stable. Faxi Faxi waterfall is smaller than the other ones, yet just as stunning. 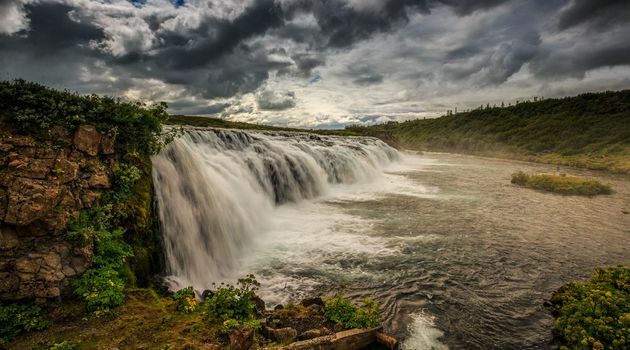 It is situated in the Tungufljót river, a famous salmon river. Alongside the river there is a salmon staircase built to extend the salmon areas of the river. During the summer months, fishermen are often seen trying their luck at the waterfall and salmon seen jumping up the staircase. 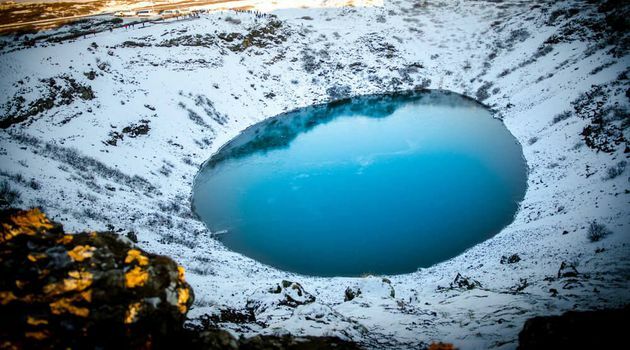 Kerið volcanic crater A stunning volcanic crater with a lake in the middle which formed in an eruption 3,000 years ago. Some believe that it was formed in a vast explosion. The more likely theory is that the volcanic cone collapsed into its own magma chamber after the eruption finished. 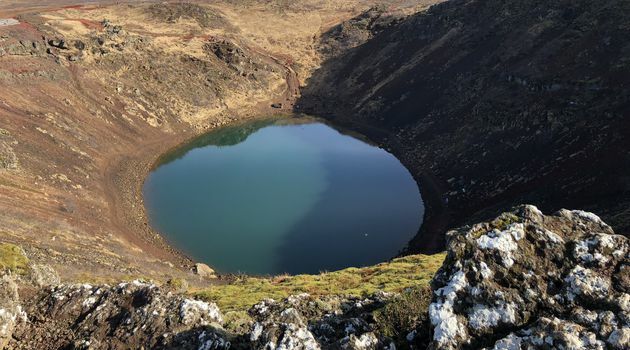 Kerið is the perfect location to learn more about Icelandic geological history and observe a mind-blowing natural wonder. We avoid the big-bus crowds, which makes this tour so popular. Make sure you book soon for the best Golden Circle tour following the famous path and including our local favorites!